Brit Rhythm for Her (Eau de Toilette) is a perfume by Burberry for women and was released in 2014. The scent is floral-woody. It is being marketed by Coty. It is remarkable in that it contains 'Petalia', (a patented perfume molecule by Givaudan) and this piqued my interest. If you like Love, Chloe and No 19 Poudre this may join the ranks. I bought it after wearing it from shop testers where your perception is often clouded by the many competing perfumes of that micro climate and, hesitant, unconvinced, I happened to see Victoria Frolova's charming review. It was 'almost free' ( I am beyond shame) and it made its way from a grey market retailer to my door. What do you get? A touch of Ivoire, a bit of white pepper, the orange and the iris. The lavender doesn't come through much, doesn't speak to me, your experience may differ. I don't like the unimaginative bottle designer or the pinky tinge but I guess it's meant to play up the British lavender theme. Up against Love Chloe and Ivoire (new) it's an 'also ran' but the dry down is pleasant and a bit tart, making it office friendly. Lasts about three hours on me. A nice scent for a soft cotton summer dress, quite girl-next-door and the absolute opposite of its marketing hype. 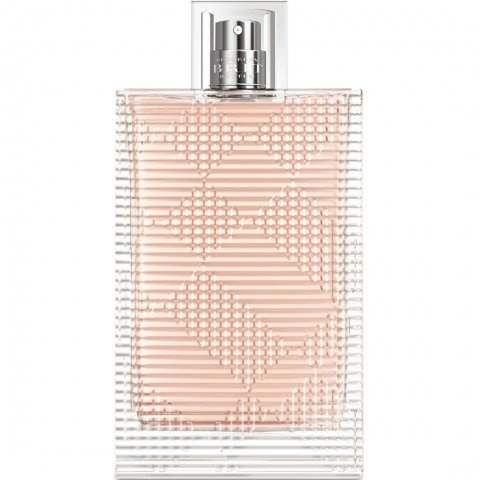 Burberry's new fragrance for women was created by Givaudan's perfumers Nathalie Cetto and Antoine Maisondieu who tried to incorporate the smell of English lavender from Kent into a contemporary fashion fragrance. The press material talks about English lavender being "stronger" than the French variant and the important role of using an "English" ingredient in order to emphasize the "Britishness" of the brand. I don't smell any natural lavender in this fragrance at all, be it British or French. 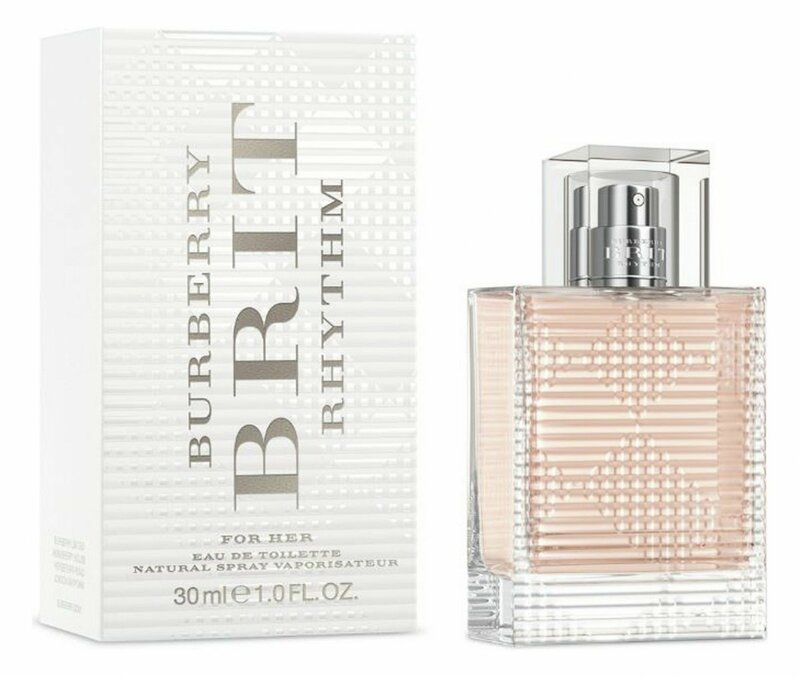 "Brit Rhythm" also features iris (in the form of orris absolute, they say) and it's this particular mixture of (synthetic, I'd reckon) iris and lavender which defines "Brit Rhythm". Orange flowers and vetiver contribute to the slightly greenish aspect of the fragrance which in spite of its musical name and the campain aimed at a younger audience smells like a bad version of "Infusion d'Iris". If you want English lavender, try one of the traditional colognes which have been around for ages. If you want iris, buy a true iris-fragrance. I see no need to purchase this weird, synthetic mixture. 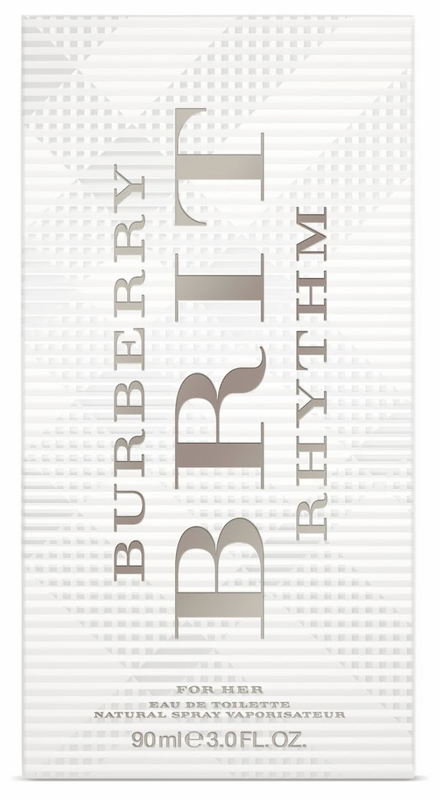 Write the first Review for Brit Rhythm for Her (Eau de Toilette)!